Sometimes the best recipes come about totally by accident. For Christmas one year my kids gave me a bottle of quality Maple Balsamic Vinegar paired with a Chipotle Olive Oil from the Kingston Olive Oil Company. 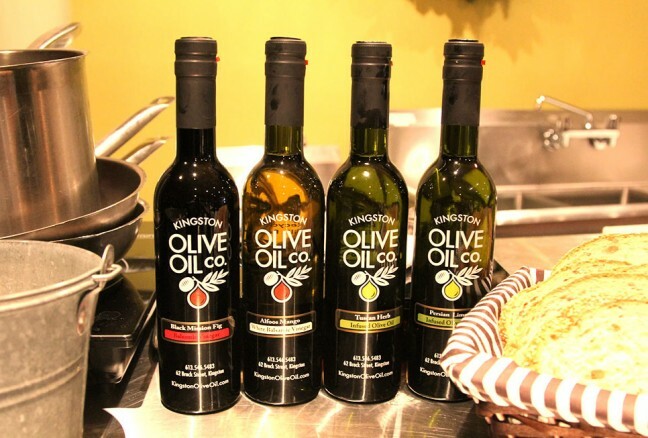 I had stumbled upon this amazing business when I was visiting my daughter one summer and took home several oil and vinegar pairings that were long gone by this time. One of the beauties of flavoured oils and vinegars is that they easily add extra flavour notes to a dish without adding an extra ingredient or a lot of calories. My previous favourite was Peach White Balsamic with Basil Olive Oil. They made an excellent vinaigrette for salads. I had a few hits and misses with the two new bottles until one day an idea arose that I just had to try. What would happen if I roasted vegetables and then sprinkled them with the Maple flavoured vinegar just as they came out of the oven? It would give the vegetables a hint of maple sweetness with none of the calories. BAM! It was a hit from day one. An added bonus - the aroma was divine. This side dish quickly became the one my husband requested most for family dinners. While that may not sound like a big deal - this same guy is one who usually just encouraged me to nuke some frozen vegetables. I like to use a really diverse selection of vegetables for colour and texture. Normally I don't use potatoes as I like to also have a potato, pasta or rice side dish. And remember, if you're using a big variety, you only need a small amount of each. The less types of veggies you include, the more you need of each. Below is a list of what I used at the last family dinner along with how I prepped each vegetable. There are others you could include. Prep is the only part of the process that takes time. The rest is dead easy. 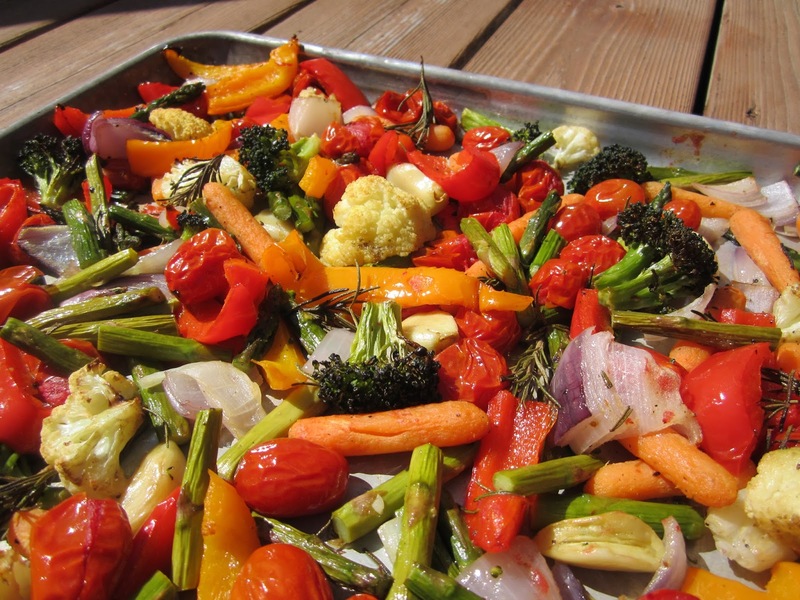 If you want to do the work before company comes, roast the vegetables and cool quickly. Reheat and sprinkle with the Maple vinegar just before serving. You will probably have to find a specialty shop for this product or order it on line - but it's well worth the effort. Preheat oven to 350 degrees. 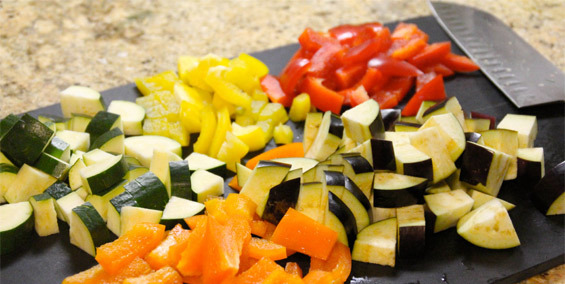 Prep all vegetables, placing in a large bowl as you go. Sprinkle with olive oil and toss until all are coated. Try to spread in a single layer on a 9 x 13 baking sheet. I always have more than can fit, but do my best to keep it an even layer. The cooking time will vary depending how full the tray is - from 30 to 50 minutes is the average. I try and stir it a few times during cooking to move veggies from the outer edges into the center to even out the cooking times. When done to your family's taste, take out of the oven and place in a warm serving bowl. Sprinkle generously with Maple Balsamic Vinegar (maybe go light the first time to get a feel for how you like it) and serve. Bon Apetit! LEFTOVERS - I love using leftover roasted vegetables to make Roasted Vegetable Rice Bowls W/ Maple Balsamic Vinegar & Tamarind/Almond Sauce. I would set aside a portion of the roasted veggies BEFORE you sprinkle them with the maple balsamic as that is best added at the last minute.